Whether you like it or not, you are going to spend more than half of your live working. And thus, choosing the right career, developing it, and enjoying it is one of the most critical things that you should do in life. Most people don’t think much or plan about their career. And this is why most people are living in mediocrity. They hate going to the work, but yet, they have to do it to earn a living to pay the bills and handle other expenses. So if you don’t treat your career as something serious, you will end up wasting a large part of your life, either working on something that you hate doing, or working on a job that you fail to advance. We all crave for improvement. Without improvement, there will not be a fulfilling career. And when you’re not working on something that you think is fulfilling, then what are you doing with your life? Since you’re going to be working anyway, you might as well work on something worthwhile. Thus, choose to grow your career, build it, and make your work something that you love doing and something you’re passionate with. 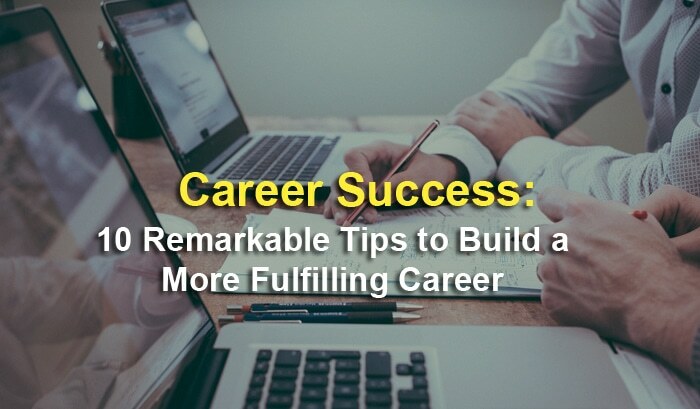 And here are the 10 remarkable tips that can help you building a successful career. Many corporations have a mission statement, a guiding principle to shape the values and culture of the business. When the business embraces its statement, it can have a strong effect on how decisions are made. A personal mission statement does the same thing but for an individual. In terms of your career, you move from asking where you should work to asking why you are working. So, create a personal mission statement for yourself. And if you’re running a business, create one for your business and/or your team. You will love your career when it involves something you love to do. If you are someone who loves the outdoors but has a job behind a desk, you will never be truly happy at work. You can never achieve greatness and build a successful career if you’re not passionate with what you do. Read my previous article to understand how you can identify your passion and live a purposeful life right now. A career that uses your natural talents will be one in which you are successful. In looking at talents, it can be helpful to talk to other people, asking them about the talents they see in you. You may be surprised and find talents that you never noticed before. People often assume that practical skills are their true talents, ignoring less obvious talents, such as the way they interact with other people. Once you have a list of talents, you can then examine careers that will make good use of them. Take out a piece of paper, brainstorm, and then write down all the things that you think you are good at. When you know your strengths, you can be much more competitive by focusing and growing what you are naturally good at. 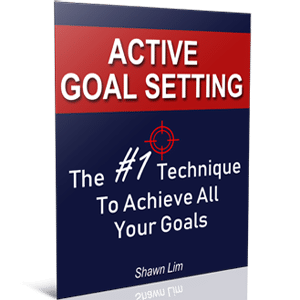 Looking at your goals over time is critical in searching for a career. Knowing your goals means that you are working toward something. This can affect how you choose a career path and how you move forward in that career path. For example, if wealth is not a strong motivation for you, you might choose a career with a smaller salary but more personal satisfaction. If your goal is to be the best computer programmer you can be, you may be inclined to step away from a promotion to a management position where your programming skills might not be used. Goals are like a lighthouse. They show you the path when you are lost and they also give you a clear direction of where you should be heading. When you have taken some of the steps listed above, you will have some potential careers in mind. Now is the time to do some research. Learn about those careers and what they require. Will you need to go back to school or have an internship? Can you prepare for your new career while continuing at your old job, or will you have to take a break from working? It is also important at this point to talk to some people in the career in which you are interested. This not only can give you some insight into what the new career entails but can also help you start establishing a network of people in your new field. Plus, you will also learn the tricks and tips about the career where you want to excel. Just look at the seniors or the people above you in your career. Do you want to be like them? Are they living the kind of lifestyle you want? If your answer is a no, you know that it is not the right career you are pursuing. There are many ways to pursue an education in this technological age. There are all sorts of online courses available that can be pursued outside of the regular work day. However, it is important to pay attention to whether those courses are recognized by people in your career path. You do not want to invest time and money in a course that does not move you toward your professional goals. This is especially important in careers that involve specialized certifications. If a course is not recognized, even if it presents the correct information, you may still have to take the official, recognized version of the class. The key is to commit to constantly and never ending improvement. Commit to reading every day, learn from others who are doing much better than you, and attend seminars and workshops when necessary. If you are struggling with your career options, a career consultant may be a helpful resource. A good consultant will help you link your goals and passions with your professional path. He or she can also help you figure out your next steps to move forward, such as education or initial interviews. Although a career consultant is an expense, the help this professional advice can save you both time and frustration along the way. Sometimes, paying for advice that will grow you and make you more successful can be a wise move. Especially when you’re stuck and still can’t find the right career after many attempts. It is important to be connected to other who are working in your chosen field. Not only can they give you a sense of what this new career might look like, they can also give you advice on job openings and the application process. Importantly, a person in your network might be able to recommend you to someone who is hiring. Employers are much more likely to pay attention to an in-house recommendation, putting your resume at the top of the pile. When you are ready to start applying, make sure to review your resume. Especially if you are changing careers, some of the qualifications that were strengths in your old job may be irrelevant to the new one, just taking up space on the page. Be sure to update any of the education work that you have been doing in preparation for the new direction in your life. Also, you may want to update the format of the resume if you have not done so recently. Employers in your new career may not be as interested in your previous work. They may want a skill-based resume as opposed to a more traditional chronological format. You can check out LiveCareer resume samples for inspiration and guidance. Once you have found a career that embraces your goals and passions, it is all too easy to become complacent. To maintain the passion that drew you in this new direction, you need to go deeper. Keep expanding your network, perhaps looking to join professional organizations or attending conferences. Continue expanding your education, reading articles and books in your chosen field as well as looking for more formal educational opportunities.